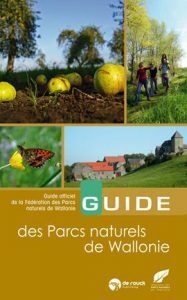 Wallonia’s nature parks strive to be a model of development between people and nature on territories that are not confined within municipal boundaries. The desire to develop a territory harmoniously by creating a nature park first arose around the High Fens Nature Preserve in eastern Belgium. The French model of Regional Nature Parks – initiated by a decree by General De Gaulle in 1967 – gave impetus to this idea of sustainable land management, one that posited that human beings could expand their activities whilst preserving varied and often invaluable flora and fauna, ensuring quality living conditions, and managing resources sustainably. Nature parks tie in logically with a sustainable development approach. Wildlife and environmental conservation, spatial planning, economic and rural development, and all-around awareness raising are at the heart of their missions. All these subjects have made inroads in our society…and proven their worth. Protecting, managing, and promoting the use of the region’s natural and landscape assets. Helping to set up and guide spatial planning projects in line with sustainable development principles. Encouraging sustainable development that contributes to local, economic, and social development. Organising tourist facilities, education, and information for the public at large. The full text of the decree can be accessed here. The nature parks carry out numerous projects in the field. A selection of these projects is presented on this website. This richly illustrated guide contains a complete presentation of nine nature parks, including nine maps of walks and descriptions of highlights to take in along the way.